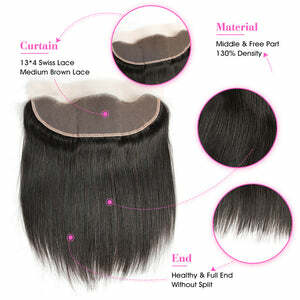 We only use top level Remy hair for our hair produc. 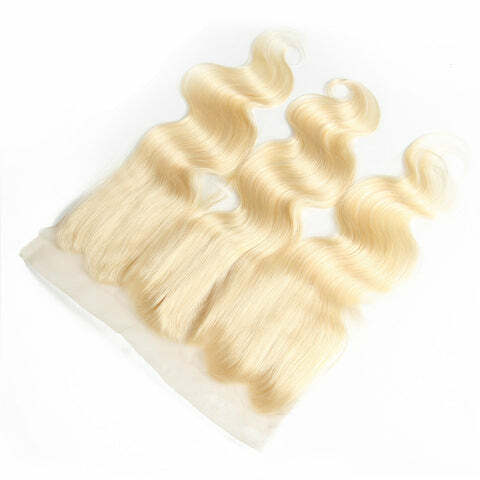 Remy human hair is the highest grade of real, human hair that is a preferred choice for hair extensions, hairpieces and wigs because it achieves the most natural look. FREE SHIPPING WORLDWIDE USA, Canada, EU, Australia, Asia - wherever you are, we've got you covered for free. Most of your order can be shipped out within 24 hours by express delivery DHL, UPS, Fedex. Lace Closure&Frontal are often used to add height, volume or fullness to existing thinning hair. At Addwigs, there're mainly 3 categories, including 4*4 lace closure, 13*4 lace frontal and 360° frontal, all of which can be styled with blow dryers, curling irons or be straightened to match your mood, occasion or fashion whims. Differences in color between pictures and real product may be cosed by the below reason:reflection in the monitor, light, background etc. Please take the actual goods you have received as the standard. Attention:- We do not have light brown lace. Medium brown lace is similar with light brown lace. We only have medium brown lace in stock. Transparent lace and dark brown lace need custom about 12-18 days. It depends on season. Please message us if you do not want medium brown lace. It is very important!!! Attention: Brush hair end first, then the middle part and the top at last. It will reduce the tangling and shedding effectively. 1.Express doesn't accept any address with P.O.box. 2.Please ensure your address is correct, changing address after parcelleft factory will cause 15$ when delivered. Irresposible:shipping address is incorrect, DHL wont able to find it.nobody be able to sign the package,fedex leaving at door,package stolen signed bu someone alse you do not know which means malicious stolen. Responsible: we put the wrong address which didi not match your given address. It is decided by the different country is policy and shoule be paid by buyer. You could leave us a massage about the value you wan not us to write when placing the order usually we write the hair as synthetic hair and lower value just to help you avoid the customs tax as possible as we can you will get the original hair as your order shows. Hi, welcome to Addwigs - a handmade human hair products company located in Qingdao, China for more than 10 years. We believe that everyone deserves to have the hair of their dreams. That’s why we’re here - integrating design, research and manufacture. Overall, we focus on Full Lace Wigs, Lace Front Wigs, U-Part Wigs, Hair Weaves, Hair Extensions & Pieces, Lace Closure & Frontal and custom-tailor. Compared with lace front wigs, Full Lace Wigs are 100% hand-tied with a thin lace sewn on top of the cap. And generally, full lace wigs are breathable, light and can be parted anywhere on the scalp, even to be pulled into a high ponytail and up-do's, but with undetectable hairline and natural look. As made of 100% virgin human hair, full lace wigs can be curled and styled. Glueless wig cap now is very popular, that is, cap with combs and adjustable strap so that you can easily put it on and take it off. Our Lace Front wigs are designed with a sheer lace base that is attached in the front clear of the hairline wig. It does not veil as much of the wearer’s head as full lace wigs do, covering only the front person’s skin around their hairline. It is impossible to see where the lace starts or ends, due to the structure of the wig. An image is created of a natural hairline. Human hair wigs look more natural and are easier to style and maintain. 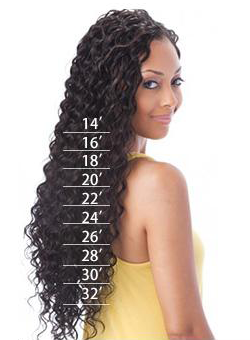 The average lace front wigs only feature 3.5-inch lace at the front top. Lace fronts from Addcolo Hair are improved with a 6-inch frontal lace to give you that realistic hairline. The durability and breathable elastic machine-weft caps at the back, are created with perfection. Essentially, 360° Lace Frontal Wig, or called 360° Lace Wig, is a laceband with 360° pre-sewed frontal & bundles, recreating the hairline around the entire perimeter of your head so that you can wear ponytails, etc. more naturally. Besides, featured with wider parting room (4-inch in front and 2-inch at back), it comes with more wefts at top and thus the wig density is around 150% or 180%. Also, it's more affordable than the lace front wig. U Part Wig is wig sewn on a u part cap with clips and adjustable straps on the back. A U-part wig allows you to blend your own hair through a specific u-shaped opening at the top of the wig; thus this opening gives you the chance to blend your own part exposing the scalp for a better natural looking hairline. You can design different u-shaped size,like 2*4 inch, 1*4 inch, 1.5*4 inch and so on.The direction of opening also have middle part, left part and right part. Well, if you wanna protect your hair, a silk or lace closure is approved to be worn with u part wigs. The silk base wig is a noble of the wigs, combined with all other wigs advantages and extra a special hand made area. Why people like silk base wigs so much? Because silk base is the most close to human skin color material .This base for the wig allows for free parting throughout the hair so that you can essentially wear it in any style and be able to see the scalp, when the hair is parted. Usually silk base size is 4*4 inch,like a closure. In Addcolo, we improve with 5*4.5 inch silk base size to help you make out a more natural looking. Big silk base size with an affordable price. Q1. What payment options do you offer? 1.Safe: PayPal can hide your financial details, so you don't have to share them online. We also protect your purchases. In case there's a problem, you can get your money back. 2.Fast: PayPal lets you pay in a few easy clicks. No hassle of getting out your wallet or typing your card details into different sites. All you need is your email address for quick, easy payment. 3.Everywhere: PayPal is accepted at thousands of websites, from leading brands to small independent retailers. So wherever you shop, PayPal can work. 4.As for the additional international fees, generally speaking the situation rare happens. But if the fees do required, customers need to pay for it. Hope for your understanding. Q2. Is my credit card and personal information secure using your site? Yes. We implement a variety of security measures to maintain the safety of your personal information. Your personal information is contained behind secured networks and is only accessible by a limited number of persons who have special access rights to such systems, and are required to keep the information confidential. When you place orders or access your personal information, we offer the use of a secure server. All sensitive/credit information you supply is transmitted via Secure Socket Layer (SSL) technology and then encrypted into our databases. Q3. When will my PayPal be billed? Your PayPal will be billed soon after you pay for your orders. Q4. Do I have to pay sales tax? You don't have to pay any other fees except your order shipping fee. But Brazil customers need to provide personal tax ID, so as to ensure the safe arrival of the goods. Q5. A credit you issued has not yet appeared on my PayPal billing statement. How long does this normally take? After the payment, PP page will be immediately displayed transaction records, you can search by log in your personal accounts. Q6. Why Is My Credit Card Rejected? First: We do not accept debit card payments currently.The main Payment is PP and credit cards. Second: Whether the card has sufficient balance. Third: Whether the credit card you hold has some problems in credibility. Q2. Can I Change My Order information? Before making the order, you can modify the product information,Before issuing the order, you can modify the logistics information. Q3. When will my order be delivered? Standard Order: It will take 5-7 working days to produce wigs and hair extensions. Lace Front Wigs Order: It will take 8-12 working days to produce your wigs. Monofilament Order: It will take 15-20 working days to produce your wigs. Full Lace Wigs Order: It will take 12-15 working days to produce your wigs. Delivery Time It will take 2-4 days for you to receive your items. Q4. Can I place rush orders if I want it can be arrived at my desired time? If your required time is reasonable, we can in your completed within the time, but you need to pay urgent fee. Q5. How do I check my order status? Log in the accounts which you have registered on the website, you can view the current status of orders. Q1. Is the picture on your website exactly the same as what I'll receive? Theoretically speaking is it! But we do not rule out the frequency of computer display and the extrusion during shipping bring in some differences. If this happened, we suggest you take care the wig first then wear it. If you can't do it well, you also can go to a professional hairdresser. Q2. How to find my size or length? Our size chart is next to the ADD TO CART button.We also have size chart at the bottom of the site. Click it and you will have a reference. Q3. How to find my colour? We have colour chart in each product page. We also have colour guide at the bottom of the site. They can give you some reference. Q4. Which style is best for me? Wigs and hairpieces should compliment the shape of your face. If you not sure about which wig style will be most flattering on you, use the following suggestions as a guide to find a wig that works with your face shape. At wigsis, we discuss seven different face shapes, diamond, heart, oblong, oval, pear, round, and square, and what wig styles are most appropriate for those face shapes. To determine your face shape, look into a mirror and pull your hair back. Compare your face shape to our illustrations. Q5. What is the density of the wigs? Q6. Are all the wigs on your website actually in stock? Q7. Do you sell wholesale? Yes. If you have the intension, You can contact us for further discussions. Q8. Do you offer discounts? Yes, you will get $5 if you sign up. Q1. Returns & Refunds Policy. Returns :At our website your complete satisfaction is our top priority. We offer the return instruction. 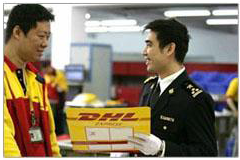 Before you want to return goods, please contact us via email to discuss the problem you are concerned about first. If you want to return your order, please notify us by email or live chat firstly, stating the reason and the order number within 7 days of receipt. Your feedback is very important to us. Any items must be sent back complete with the original package. All packages should be sent via a tractable method. We are not responsible for packages lost in transit. Please pay attention to that the original shipping charges are non-refundable. So please contact us with all your questions and concerns before placing your order. At our website your complete satisfaction is our top priority. We offer the return instruction. Before you want to return goods, please contact us via email to discuss the problem you are concerned about first. If you want to return your order, please notify us by email or live chat firstly, stating the reason and the order number within 7 days of receipt. Your feedback is very important to us. Any items must be sent back complete with the original package. All packages should be sent via a tractable method. We are not responsible for packages lost in transit. Please pay attention to that the original shipping charges are non-refundable. So please contact us with all your questions and concerns before placing your order. Q3. I received my shipment but one of the items is broken, missing or wrong item sent. What do I do? If it is indeed our problems, we will reissue and replacement the item for you. If the item was damaged during transporting, the courier companies need to take some responsibility. Q1. Why is your hair so cheap ? Because we are just a hair manufacturer and we sell hair from factory to customers directly ,no middle men. Also our marketing strategy is “Quick Returns and Small Margins”,so we want to offer quality hair with reasonable price. Q2. What do these signs (+30days) (+4days) mean ? It means that is a custom made order and our workers need 30working days or 4 working days to process before shipment. Q1. What are the difference among the kinds of Cap Construction? Advantages of Lace Front Wigs Lace Front Wigs offer the most natural appearance at every angle .Lace Front Wigs can add to your existing hairline and create an impression of the hair growing from the scalp, thereby making it difficult to discern whether the hair on your head is artificial or natural. Advantages of Full Lace Wigs Lace Wigs offer the most natural appearance at every angle. They feature hand-tied hair fibers in a poly-silk mesh base at either the front of the wig, or from front to back, creating an undetectable and seamless hairline. Part them in any direction for the ultimate in styling versatility and realism in a wig. Advantages of Capless Wigs Capless wigs allow your head to stay cooler than solid capped wigs. This is due to the fact that it is made with less hair and the specific capless construction allows for some air flow to the head and scalp .There are also adjustable straps or hooks at the nape of the neck to secure the wig in place. Advantages of Mono Wigs Monofilament wigs offer you a cap that is soft to the touch; basically see through and very hard to detect. 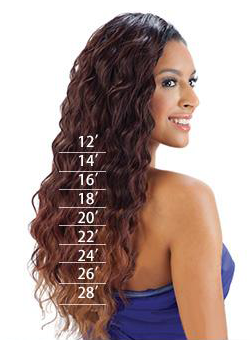 The monofilament weaving allows each strand of hair to move freely and more naturally. Q2. What is the difference between human hair and synthetic hair? Human hair: more versatility(can be heat styled and coloured),longer durability and custom-styling. The most desirable form, Remy hair, has been cut from a human head of hair, as opposed to residual hair that has fallen or been brushed off. 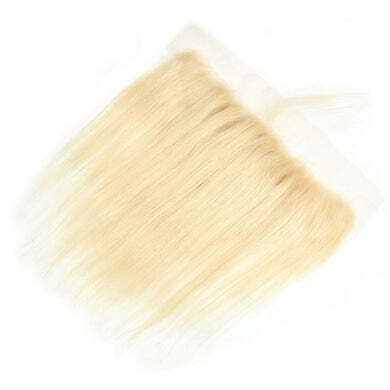 Synthetic: easy to maintain(wash and wear),less expensive than human hair ,easy to style ,pre-styled to hold its shape. However, it has limitations not found in real hair that range from heating and styling to texture matching. Choosing between a human hair wig and a synthetic hair is more of personal preference .For example ,a person looking for a wig they plan on wearing everyday and that they can heat-style themselves would choose a human hair wig whereas a person looking for a wig that is easy to maintain and less expensive would choose a synthetic hair. Q3. What is the difference between short and long wigs? Q4. What kind of wigs suitable for cancer patients? We suggest cancer patients to wear human hair wigs, human hair wigs is close to people’s own hair. It is comfortable and natural looking. The main point is more health. If the condition allows, we recommend the human hair mono full lace wigs to you. These wigs are more comfortable, the special hand tied cap construction is the key. Q5. What is the glueless wig cap? On glueless cap,there are combs on it, to avoid the wig slip down.also,at back,there is an adjustable strap, you can adjust it to fit you well. Q6. What is silk top? Silk top is made by 3 layer lace,the knots hiddened in the middle of the 2 layer lace,the hair looked like it rise from the scalp. Q7.What is bleached knots ? Bleached knots help make the hair appear as if it is growing from the scalp. When hair is tied to the lace, there is a dark knot where the hair is secured. Bleaching or "lightening" the knots reduces the visibility of this knot. On off black (1B) and dark brown hair, the knots are lightened to a light brown shade. Very light brown and blonde and shades usually do not need bleached knots. It is not possible to bleach knots on jet black (#1) hair, and is very difficult to bleach knots on 1B hair. Q8. What is the parting space for your lace front wigs ? Our lace front wigs have 6 inches parting space in the front. Q1. How to wash your wig? Cleaning the Human Hair wig Human hair wigs is durable, generally costs more, and has the most natural look and feel of any wig you can buy. And can be dyed and treated the same as any human hair that grows from the scalp. Detangle Gently remove tangles using a wide tooth comb, working gradually from the ends to the base. Rinse with cool water to remove shampoo. Gently press with a towel to remove excess water. Do not rub or wring. Wash submerges your wig in cool water. Mix in a small amount of Shampoo. Soak your wig for 3-5 minutes. Gently swirl without rubbing. Rinse with cool water to remove shampoo. Gently press with a towel to remove excess water. Do not rub or wring. Cleaning the Synthetic Wigs Synthetic wig is less expensive than human hair and is durable. Traditional curling irons, blow dryers and hot rollers CANNOT be used on synthetic hair fiber. Detangle Gently remove tangles using a wide tooth comb, working gradually from the ends to the base. Wash submerges your wig in cool water. Mix in a small amount of Shampoo for synthetic hair. Soak your wig for 3-5 minutes. Gently swirl without rubbing. Rinse with cool water to remove shampoo. Gently press with a towel to remove excess water. Do not rub or wring. Dry & condition Place on a folding wig stand, spray with a Leave-in Conditioner, and allow to air dry. DO NOT WRING OR SQUEEZE . Q2. Caring for your wig, Fall or Comb Add-on. Q3. How to store your wig? We suggest you to use a wig cap when you take off your wig. In this way, the wig will keep its style. Q4. How to style your wig? You can style your wig by using a comb or hair spray to style your wig. You also can go to a professional hairdresser. Q5. How to Cut your Wig? Q6. How to Colour your Wig? 1.Wash the human hair wig to remove any product buildup or dirt and oils. Allow the wig to air-dry, or blow-dry 24 hours before coloring the wig. 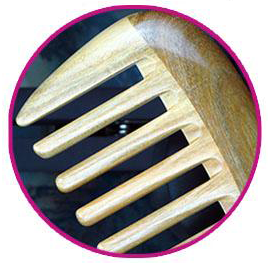 2.Use a large-tooth comb to separate the human hair into four sections. Comb the human hair wig to eliminate tangles. 3.Use an at-home coloring system. Mix the color mixture in a plastic bowl or add system contents to the bottle provided. The process is easy: Simply follow the directions provided by the manufacturer. In most cases, you must combine a colorant to a color developer. An after-color conditioner will be applied later. 4.Mix content thoroughly and then put on gloves. Open a window for ventilation. 5.Place the human hair wig on a Styrofoam mannequin head, if available. Pull down on the human hair wig to secure to the head. Avoid pulling the hair, as the wig may slide off the mannequin head. 6.Add color, starting at the top of the wig. Think of the top of the wig, where it is woven or sewn into the cap or lining, as the root of the wig. Always apply from the top and move around the crown of the human hair wig. Once the crown is covered, move down each section, working your way to the ends of the human hair. Then move to the next section. 7.Allow the dye to sit for no more than 25 minutes. 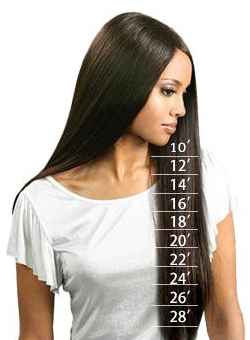 Human hair is subject to drying, breakage and loss of sheen. 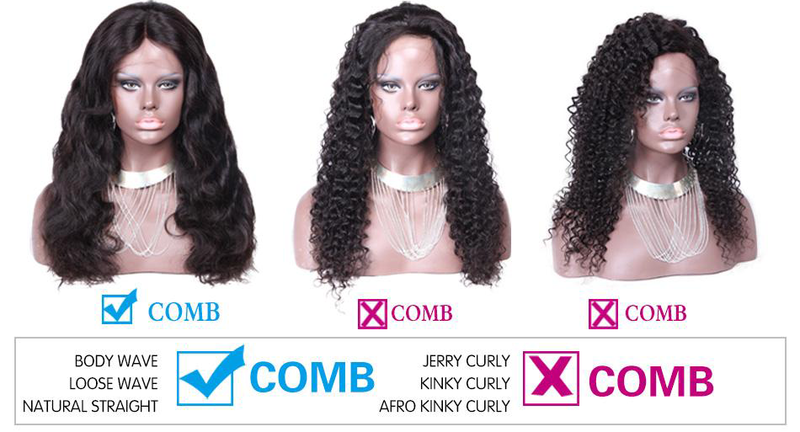 Avoid overprocessing your human hair wig by following the directions provided. 8.Aid a light conditioner to the hair for 3 minutes. Q7. Waterproof and using time. Q1. Do I need to wash my hair before wearing it ? Our hair is very clean and neat , so you don’t have to wash your hair at first when you receive it.For curly hair we don’t recommend you to wash because it may ruin the curly pattern. Q2. Can I straighten my curly hair ? We don’t recommend to straighten curly hair because it may cause hair problems like shedding and tangle.So had better remain the same curly look. Q3. Can I dye my curly hair? For virgin hair ,yes you can dye it ,but curly hair is not easy to operate by yourself , so please let a professional stylist help you and don’t do that yourself. For Malaysian and Indian hair we don’t recommend you to dye. Q4. How to maintain my curly hair ? 1.Choose a shampoo & condititoner that suit your hair type. Curly or coarse hair probably wants frizz-minimizing and softening shampoo.Colored or treated hair probably needs a shampoo that's fortified with extracts or amino acids. 2.Proper way to deep condition curly hair. Deep condition at least once a week with cold water.Apply moderate the conditioner starting about an inch down from the root all the way down to the tips of your hair,Wait about 15 minutes before rinsing,then use a wide toothed comb working up from the tips to the roots so your hair. After washed the hair ,towel off your hair slightly, just enough to stop the dripping.Don't rub your hair with the towel.Start blow drying at the top/roots, about six inches away from your scalp with low-temperature setting.Work your way down and leave your hair a little bit damp. 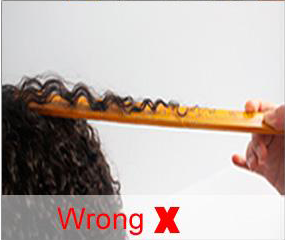 (Tips: If you want some lift and volume, use your hands to comb your roots up and blow-dry). Shape the hair by scrunching it some more and twirling pieces around a finger. Avoid using brushes and narrow-toothed combs and avoid touching your hair as much as possible.This can separate your curls and lead to unwanted frizz. 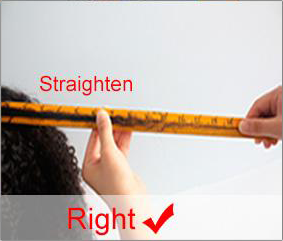 Don’t straighten curly hair because it may cause hair problems like shedding and tangle. Color hair with a professional stylist help. Q5. How to care for my hair ? Any suggestions ? 1.Co-Wash your Hair.Co-wash hair with a conditioner at least once a week.Using cold water to make it shinier, lock in moisture,reduce frizz. 2.Blow-dried and Don’t Let it air-dried.The longer the hair swelling goes on,the more pressure it puts on the delicate proteins keeping hair intact,which can lead to more damage. 3.Seal Your Wefts or knots Before Hair Install.Seal wefts or knots will prevent shedding and make hair tight. Pls applying the sealant to both sides of the weft. 4.Use Wide Toothed Comb.After you shower, try using a wide toothed comb. Or, use your fingers, rather than a brush. 5.Protect That Hair From HEAT. Use a heat protectant spray, oil or serumwhen you use heating tools. 6.Tips To Root.When take your comb, brush, or fingers & start at the tips of your hair and work your way up to the root (weft ) of hair. 7.Deep Condition. After serval installation,a deep condition is necessary.Good conditioner or deep conditioner is need.Try shampoos that do not contain sulfates or parabens. 8.Wrap It Up. Remember to twist,braid,bantu-knot,flexi-rod,roller set,rod set,or wrap your Hair before sleep. 9.Don’t swim in the Sea. when your hair is installed which may make your hair dry and tangle badly.